The purpose of the Sutherland Economic Development Board is to encourage business and industry to locate in the City and surrounding areas. The Sutherland Economic Development Board meets the last Wednesday of every month in the Meeting Room of the RL Johannsen Center at 6:00 p.m. 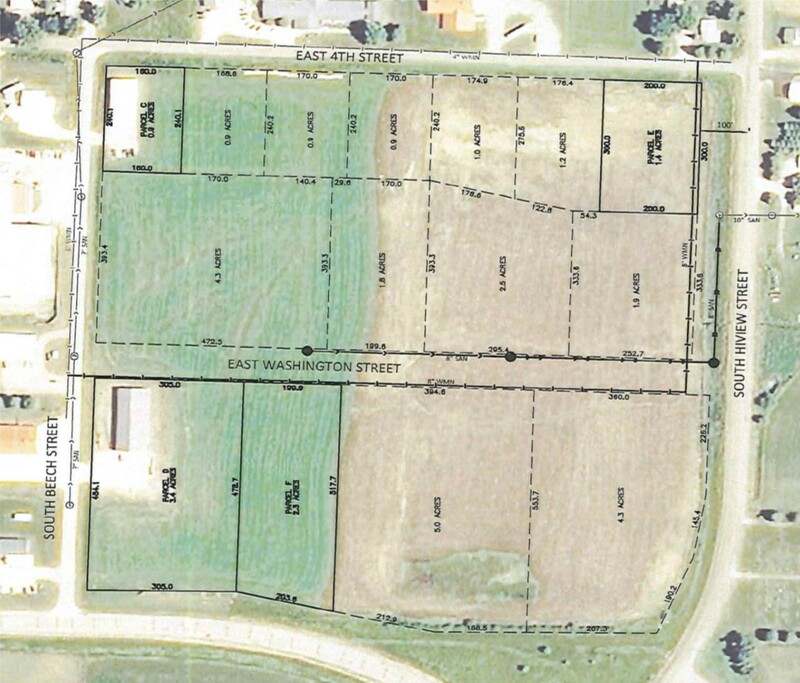 Buyer pays all legal costs to satisfy transfer of land. There will be no cost to the City of Sutherland. All City zoning and ordinances must be followed. The land will be sold for $1.00 if all guidelines are met. There will be a minimum assessment agreement filed with the County Assessor. There will be no time frame of years for minimum assessment value. The minimum assessment value will be transferable with land sales. 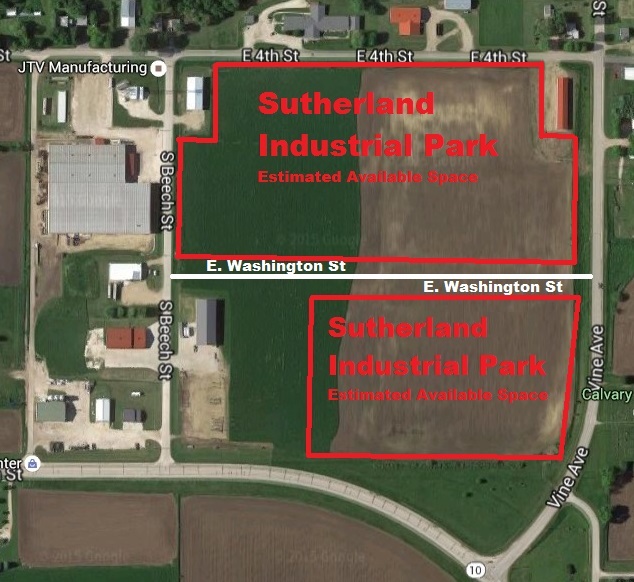 If there are no capital improvements within three (3) years after sale of land, the land will be deeded back to the City of Sutherland at seller’s cost. Buyer of land will be responsible to pay for water and sewer hookup from City main and gas and electric connections from the nearest location. The improvements are only for the front exterior of the property owners building. A forgivable loan is offered to all property owners operating a business within the Sutherland area and their business is open for more than 32 hours per month. If they go out of business or sell, the original borrower must repay the balance. A repayment loan is offered to all remaining property owners not open for business for more than 32 hours per month within the Sutherland area. The maximum loan amount is $2,000 per property owner. The Owner has to pay 25% of total cost and SED will loan 75% up to maximum loan amount. Owner is required to submit receipts. Terms of repayment will be amortized over 10 months per thousand borrowed at 0.0% rate for forgivable loan and 5.0% rate for repayment loan. Example: $1,000 borrowed=10 months or $2,000 borrowed=20 months. A $35.00 application fee is needed along with the application. The fee is refundable if loan is not approved by SEC. **Click for PDF Application . SPRUCE UP SUTHERLAND – Applications will be accepted until April 15, 2019. A pleasant community appearance adds to home values, helps attract business investment and improves the community’s reputation. Research shows that beauty is one of the top three factors in creating community attachment, or loyalty, to your particular town or city. We understand that improving your property can often be too great of a financial burden to undertake on your own. With this in mind, The City of Sutherland and Sutherland Economic Development are excited to continue the Spruce Up Sutherland program. After completing a brief application describing your property and the proposed project, submit your application to City Hall by April 15th . The committee will notify those that are approved by no later than May 13th. If approved, the City and Economic Development will reimburse you after you complete necessary painting, installation of house siding and soffit, or removal of a house that is beyond repair. Financial assistance is available for up to the following amounts: House Painting $300; House Siding and Soffit $2,500; Removal of House $2,500. The project must match the project submitted on application and must be completed with receipts turned into City Hall by October 1, 2019. Please visit the Sutherland City Office at 110 Ash Street or call 446-2243 for more information on the Spruce Up Sutherland program or simply complete the application below and return to the City Office by April 15th. Please consider taking advantage of this valuable opportunity to improve the appearance of your property and we sincerely thank you for your investment in your community. We are a private, nonprofit organization incorporated for the purpose of promoting economic development in O’Brien County. We treat your business matters confidentially. If you are looking to start a new business or expand an existing business, meet with us to share thoughts and ideas. We will work together to make your business ideas come to life. We are a designated Enterprise Zone with benefits available for business development and we have Gap Financing to assist you financially with your project. O’Brien County can help with all kinds of loans and financing options.